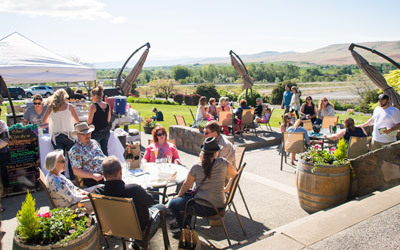 Estate winery of the Wahluke Slope AVA serving wine in the Prosser Winemaker's Loft. Nestled deep in the Wahluke Slope AVA, Ginkgo Forest Winery sits in the heart of the Columbia River Gorge. This unique and renowned appellation provides the perfect environment for raising grapes. 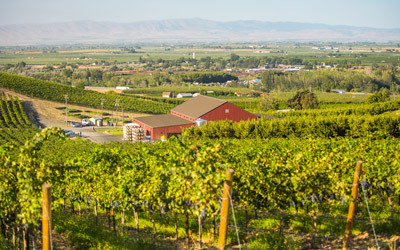 The sparse but fertile soils deposited in the area during the Missoula Floods, along with high heat, long summers and arid desert air allow us to ripen our grapes longer; leaving them on the vine for more time than most climates allow. As an estate winery, Ginkgo Forest controls production from our vineyards to the bottle and we never source our grapes from outside the Wahluke slope or entrust care to outside hands at any stage of our winemaking process. After 13 years of producing Artisanal Estate wine in Mattawa we are proud to have expanded our operations in July 2017 by opening our new Tasting Room and Winery at The Winemakers Loft in Prosser. 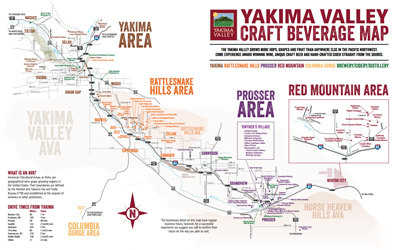 Come savor our Gold Medal Award winning Red, Rose', White and Port Style Dessert wines to experience the difference and unique flavor that only a Wahluke Slope Estate winery can produce.